Great country location just 15 minutes North of Crossett. 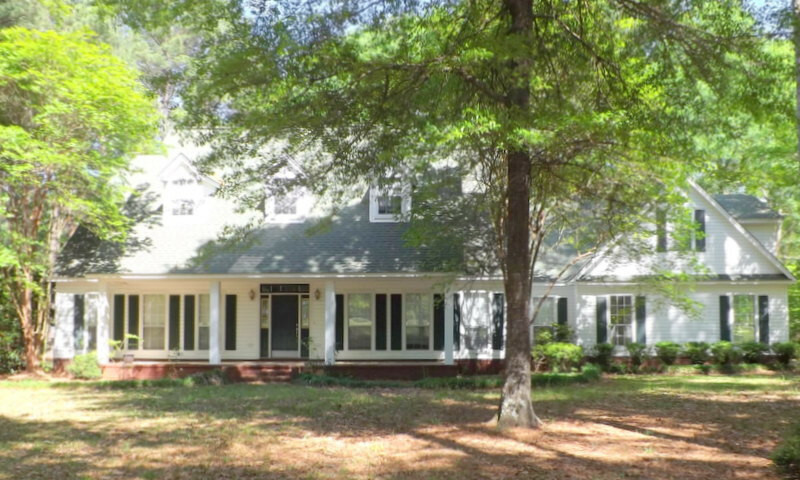 Custom built, 2-story situated on tree shaded acreage. 2604 square feet downstairs consisting of kitchen, dining, family room with fireplace and built-ins, three bedrooms, three full bathrooms. Laundry room with laundry sink, cabinets and countertop, built-in ironing board and drain in floor. Master bedroom consists of bathroom with double sinks, walk-in shower, enclosed garden tub and two large walk-in closets. Family room has two french doors opening to 12x38 back porch. Kitchen features pantry, lazy susan, lots of cabinets, ceramic counter tops, refrigerator, built-in stove and cooktop. Kitchen overlooks family room with cathedral ceiling. Formal dining room. 1036 square feet upstairs consisting of one bedroom, bonus room and office. Bonus room could be fifth bedroom. Spiral staircase to office from family room. Two water heaters and two HVAC units. Upstairs HVAC unit replaced in 2005. Outside units replaced in 2006. All flooring with exception of office replaced in 2008. Roof replaced in 2015. Crown molding throughout. Attic partially floored. Attic accessible from office and bonus room. Storage room in garage. Chain link fenced back yard. Property has water well. City water available and meter already installed at street. Singulair Bio-Kinetic wastewater treatment system. Tax amount shown is without $350 homeowner credit. For more information or to see contact Shirley Knox 870-515-7025 or shirleyknox2@gmail.com.